Our solution is a professionally integrated Prestashop e-commerce with the Adobe Stock photo base and an on-line print creator. Integration allows customers to crop, size and apply desired colour effect to the product and finally to place order. 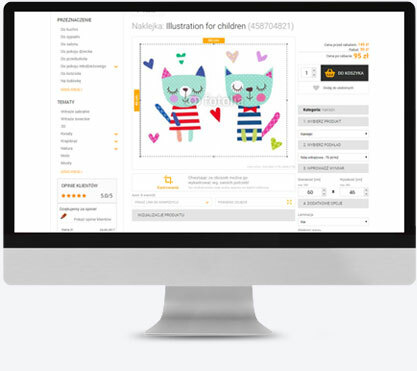 This solution allows you to start selling any type of printed products, made for individual customer's order including wallpapers, canvas, posters, stickers, glass panels, tiles, etc.